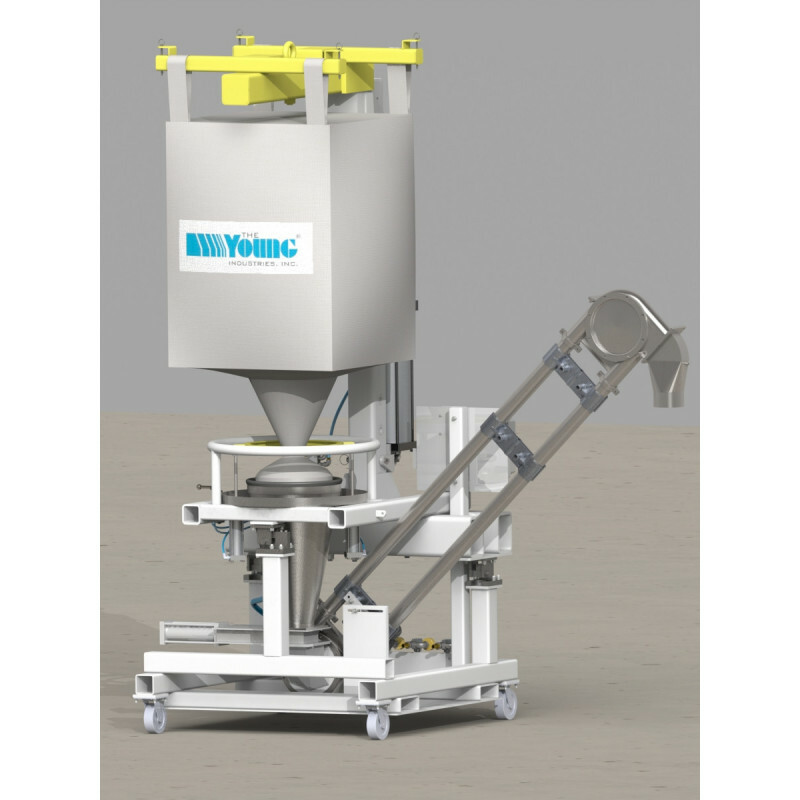 The Direct-From-Bag Unloader, or DFB for short, is used to discharge full or partial super sacks to downstream mixing or dispersion processes. The Direct-From-Bag Unloader, or DFB for short, is a good first step for companies that do not have any bulk bag handling system in place or need to use their handling system on several disperser tanks. The material moves freely without clogging, there is no waste of product and the material flows at a rate that matches the capability of the disperser. 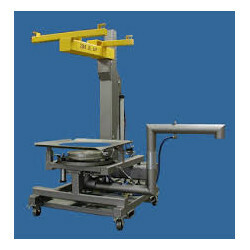 Here’s how the DFB works: The bulk bag is attached to the lifting bracket and then it is place on the DFB lifting mast. 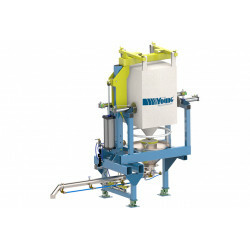 The bag discharge is attached to the TransFlow conditioning hopper. 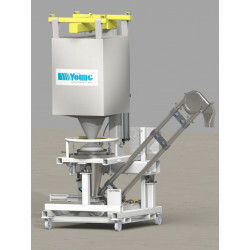 The material moved from the hopper to the Stinger that conveys the material to a disperser.